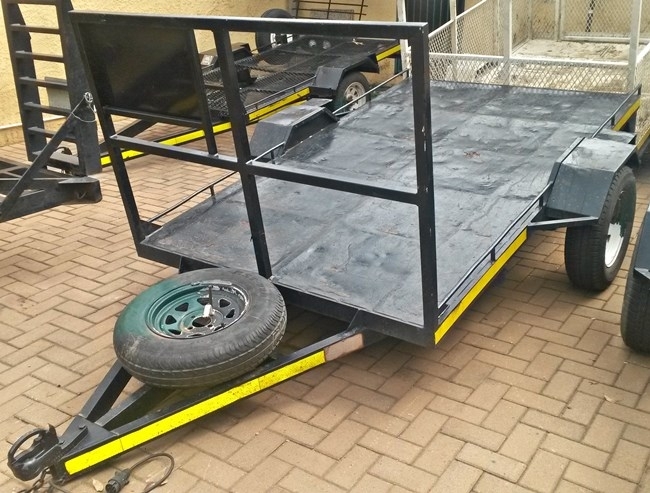 Our flat deck trailer with a total loading length of 2,4m is suitable to transport a wide variety of goods. With a carrying capacity of 750kg it can carry single items, motorcycles, quad bikes, furniture, office goods, golf carts etc. Additional features: Flat deck single axle unit with no brakes. Tow vehicle requirements: Cars, bakkies or 4x4’s with a minimum engine size of 2.0ℓ and larger.